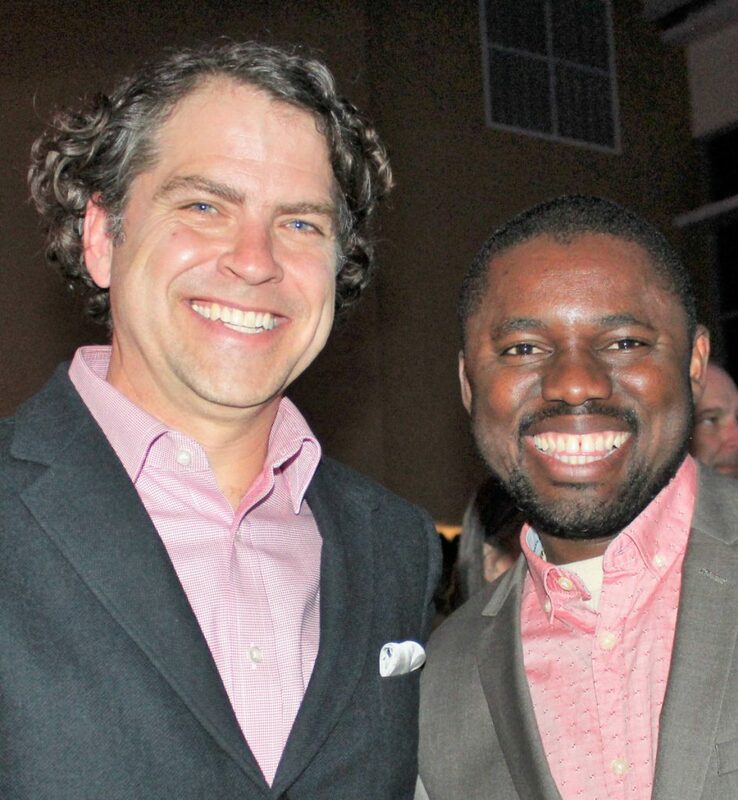 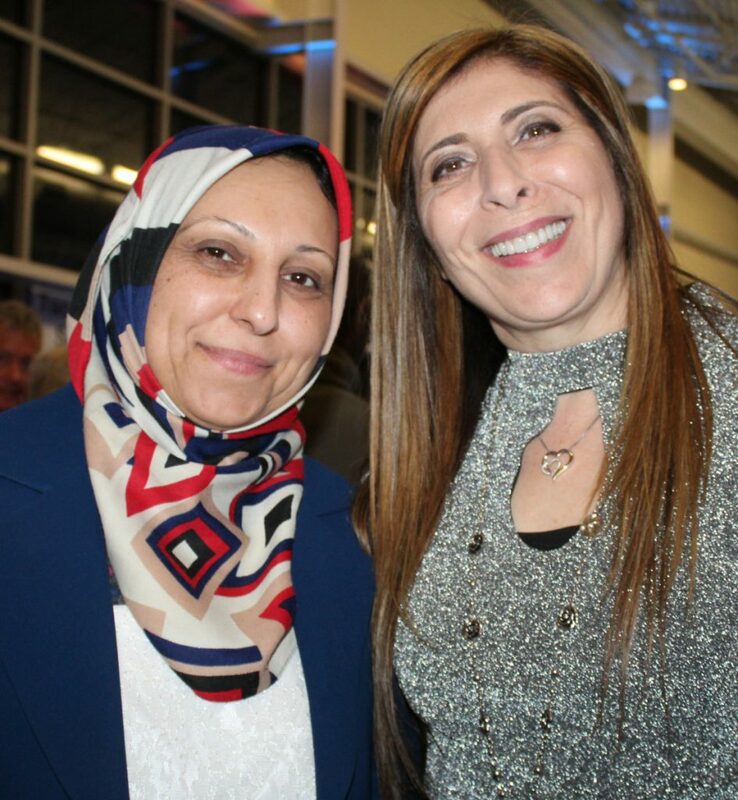 The Immigrant Legal Advocacy Project's CeleSoiree raises $45,000 to help its clients in a crucial time. 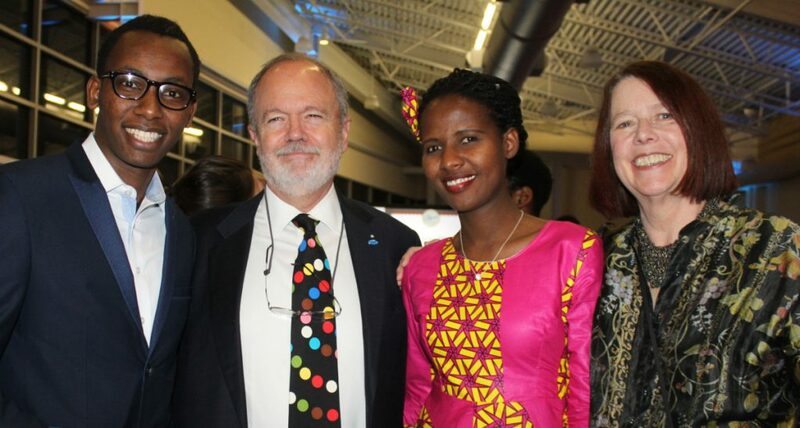 Iraqi immigrant Bana Jalal, Molly Burk and emcee Adam Burk of Treehouse Institute, and Olivier Manirankunda, an immigrant from Burundi. 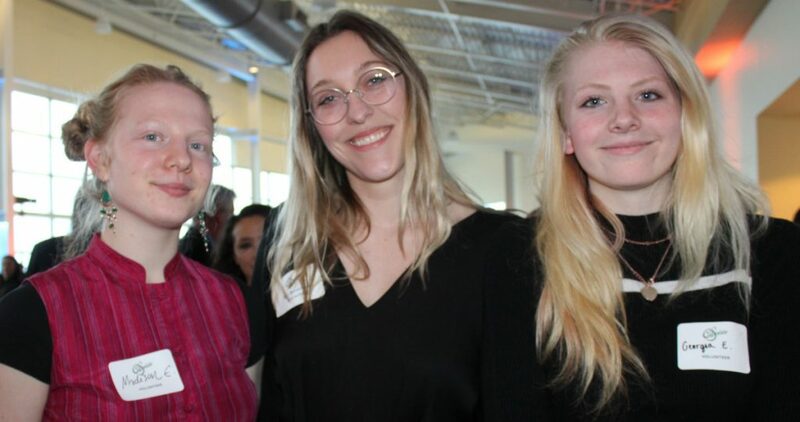 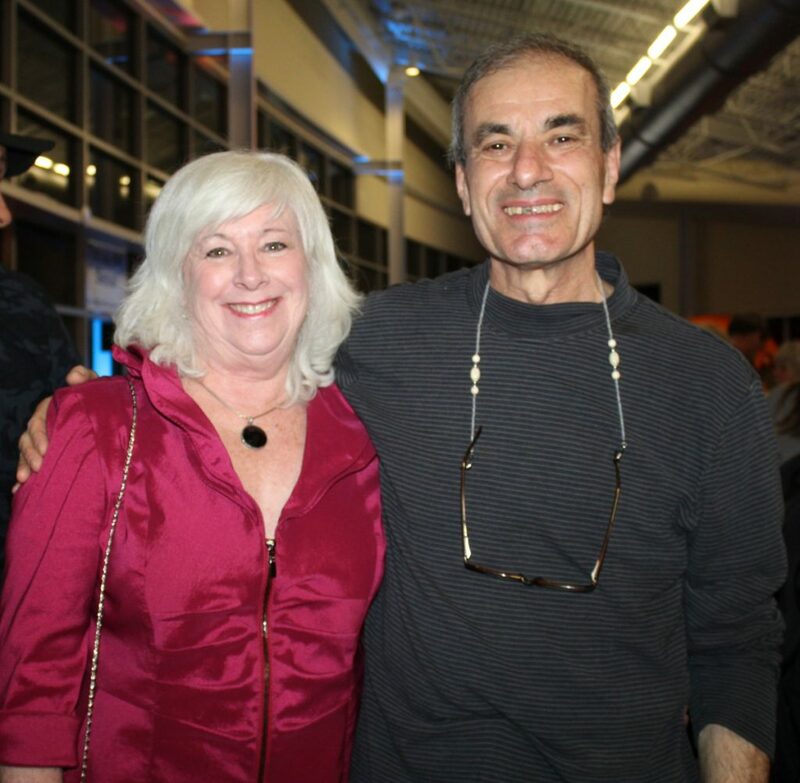 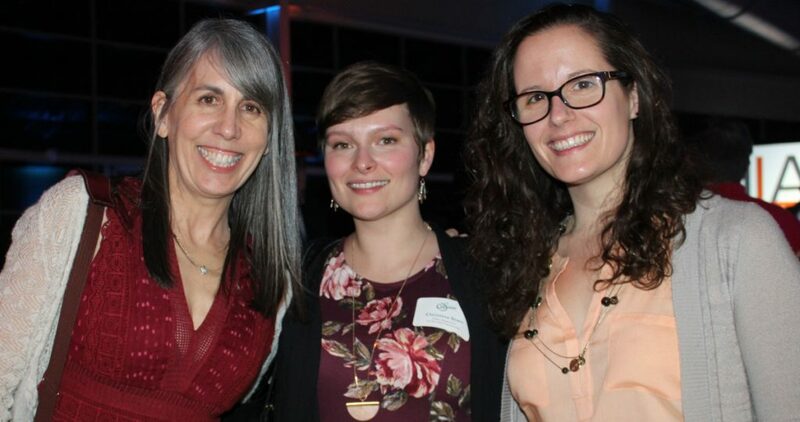 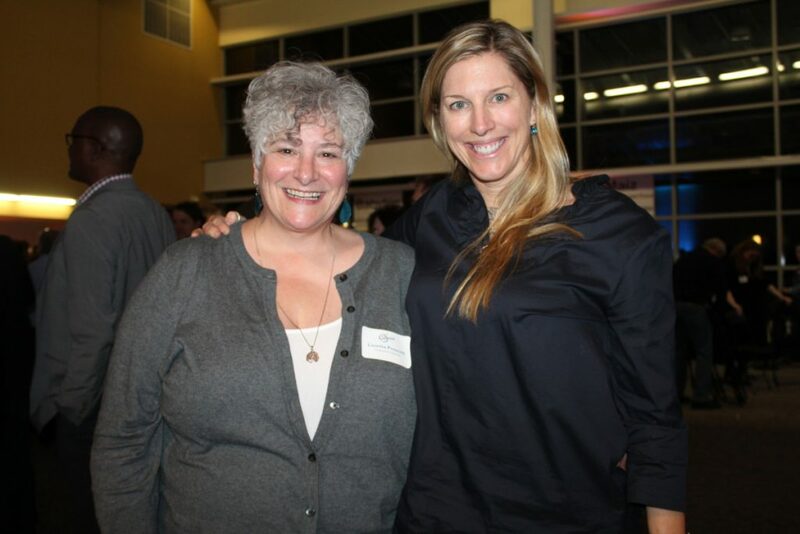 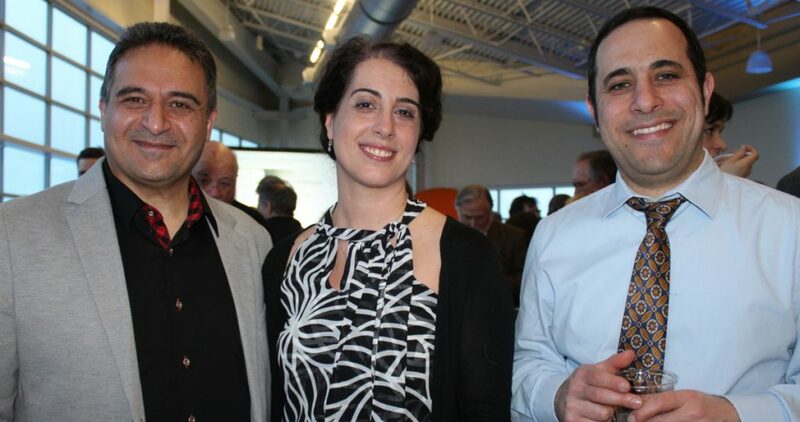 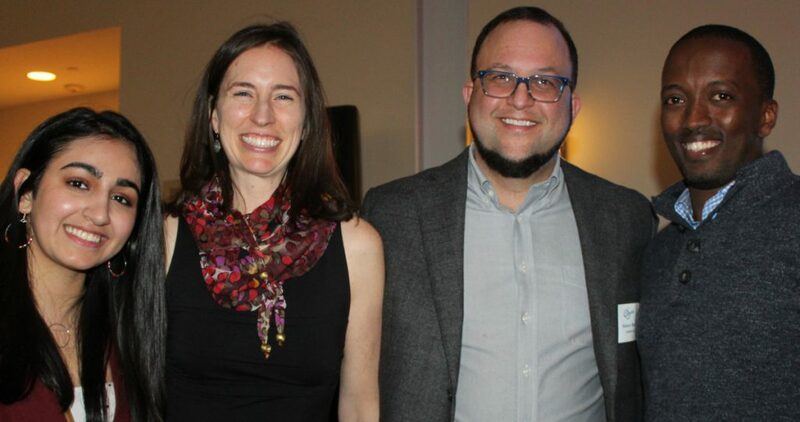 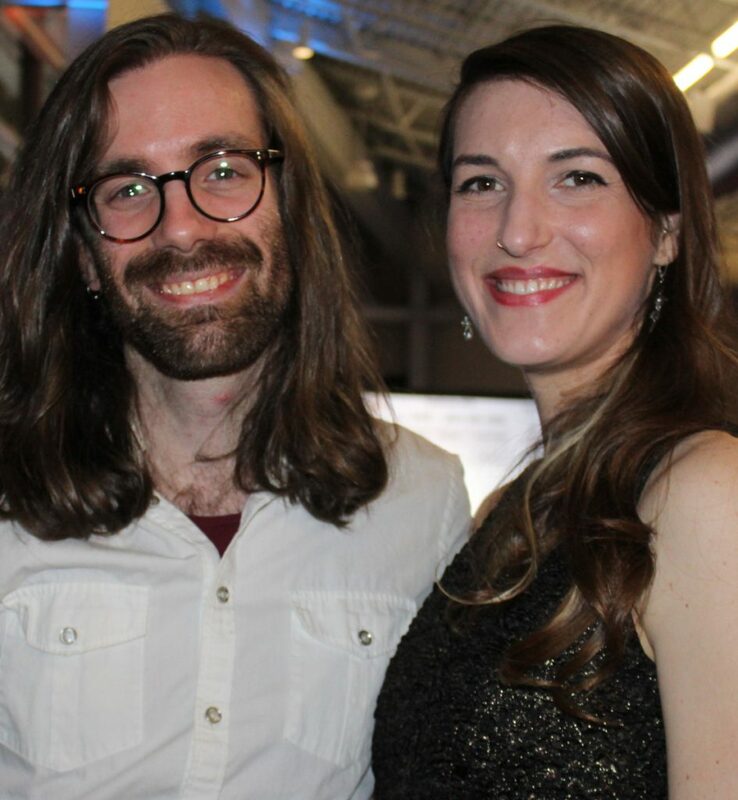 A record 400 people turned out for the Immigrant Legal Advocacy Project CeleSoirée at Ocean Gateway on March 23, raising about $45,000 for Maine’s only statewide immigration legal aid provider. 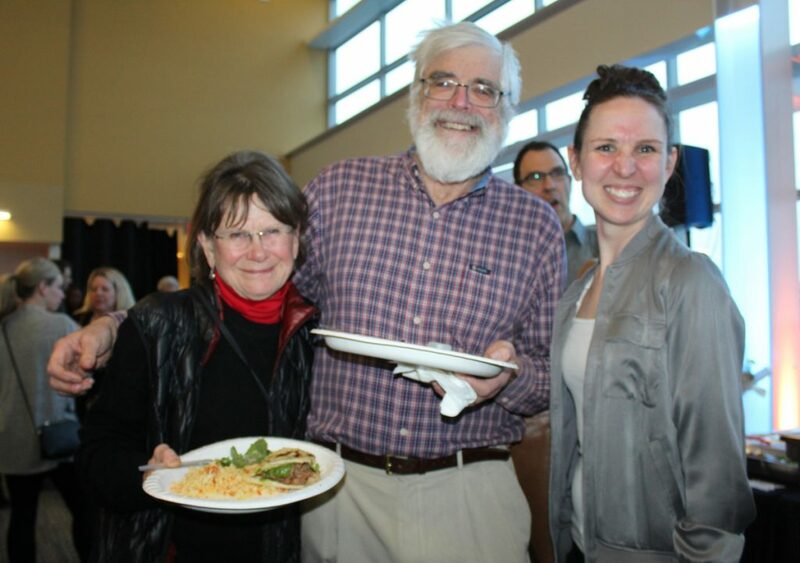 The fundraising celebration featured an international buffet catered by Babylon, Maiz and Tacos del Seoul, followed by musical entertainment by Syrian violinist Aban Zirikly, accompanied by vocalist Christina Wilson, singing in Spanish. 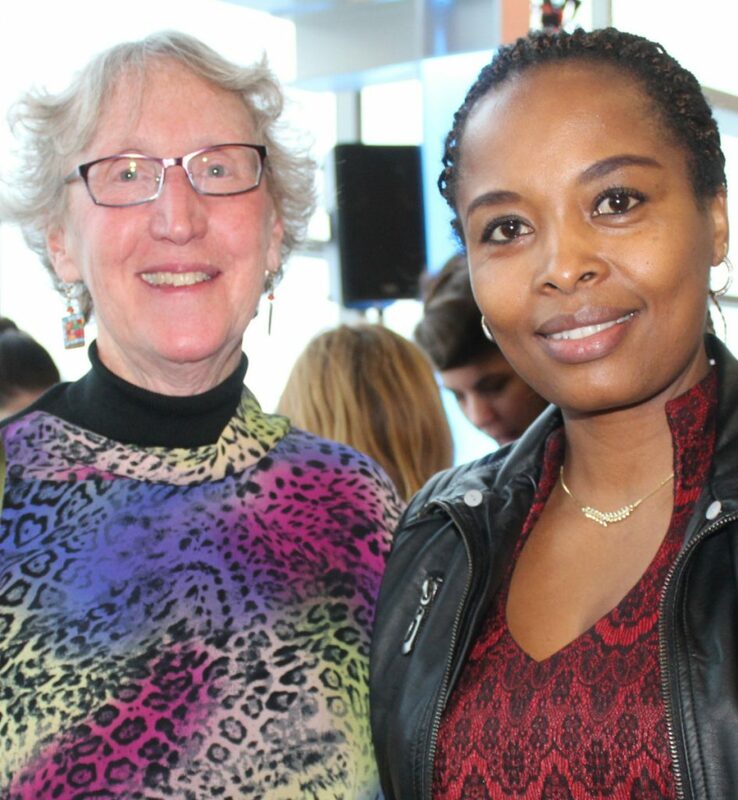 In 2017, ILAP helped more than 3,000 clients with 14 staff members and 200 volunteers, 160 of whom are pro bono lawyers. A single case can take upward of 100 hours from start to finish, and in 2016 and 2017, no full representation cases were denied. 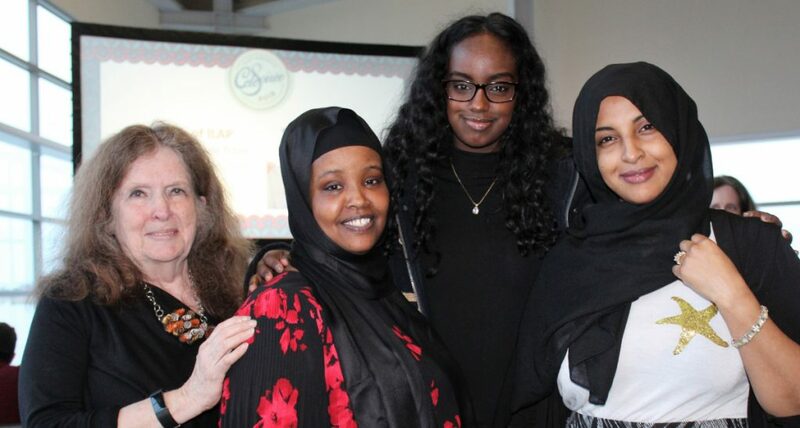 This is achieved through a combination of vetting cases, training pro bono attorneys and having more than 50 years combined immigration experience on staff. 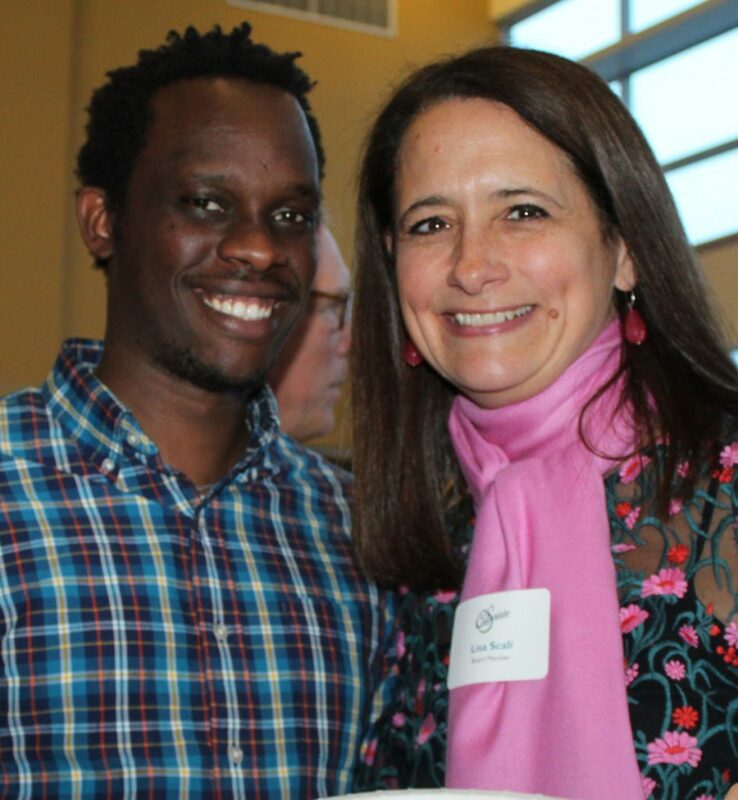 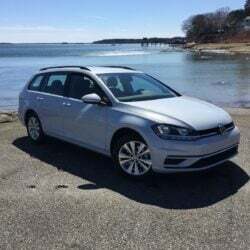 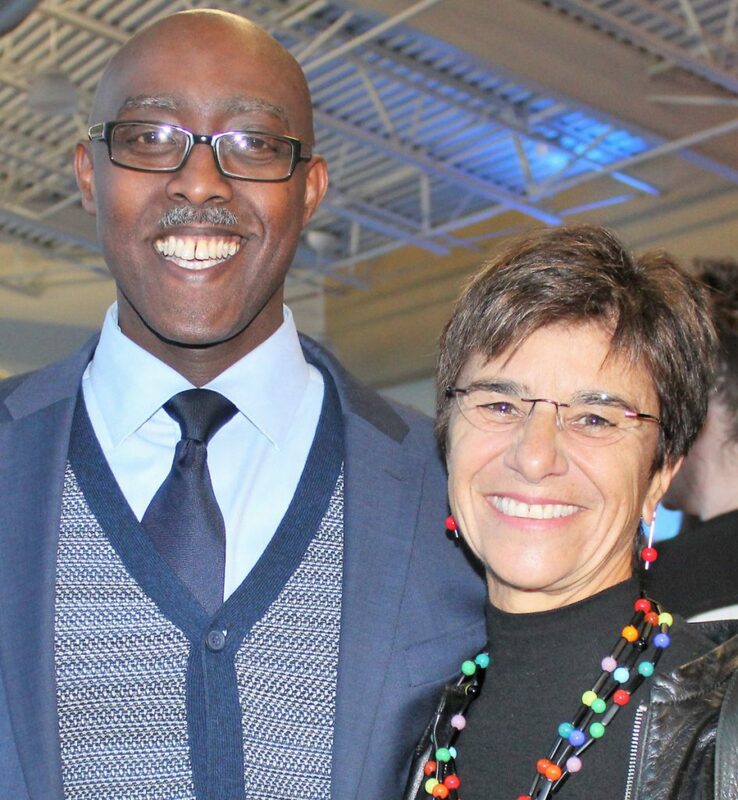 “I’m very proud of ILAP and the work they are doing in this country in the city of Portland,” said Rufus Mfingi, who fled the Democratic Republic of Congo after a dispute with the government during the course of his work as a women’s rights advocate.